Discover the authentic flavour of the region of Valença do Minho, close to the Spanish border. 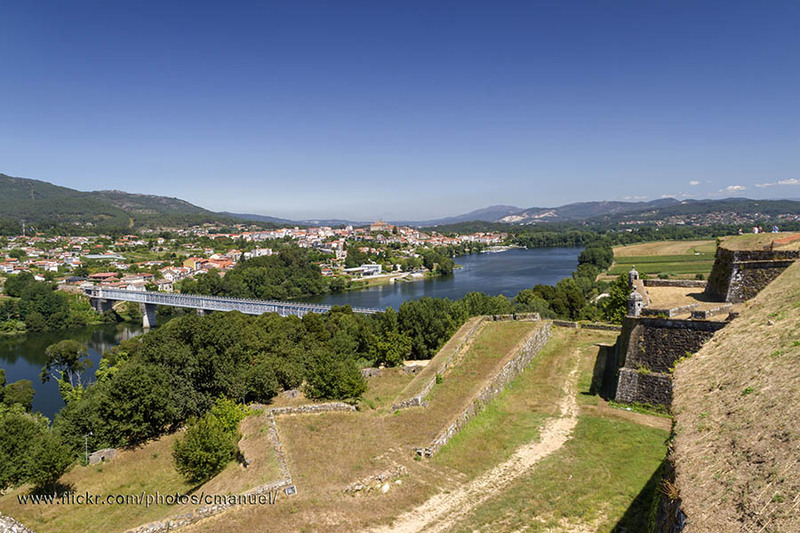 Valença do Minho is a fortified village, strategically located above the Miño River, close to the Spanish border, which constitutes one of the greenest and most fertile lands of this region of northern Portugal. This peculiar divided city constituted the first defense line against attacks from the neighbouring country. Good evidence of this are the two fortified squares, replete with bastions for defense, watchtowers and gigantic doors, together with a bridge that covers the wide moat which shaped the old part of town. Nowadays numerous Spaniards cross the border and pack out the city to buy table linens, bed sets, towels, coffee, and wines of the the region; but at nightfall, when the buyers return to Spain, a peaceful air of tranquility reigns, which makes it the ideal moment to go for a walk on its paved streets and discover its monuments. 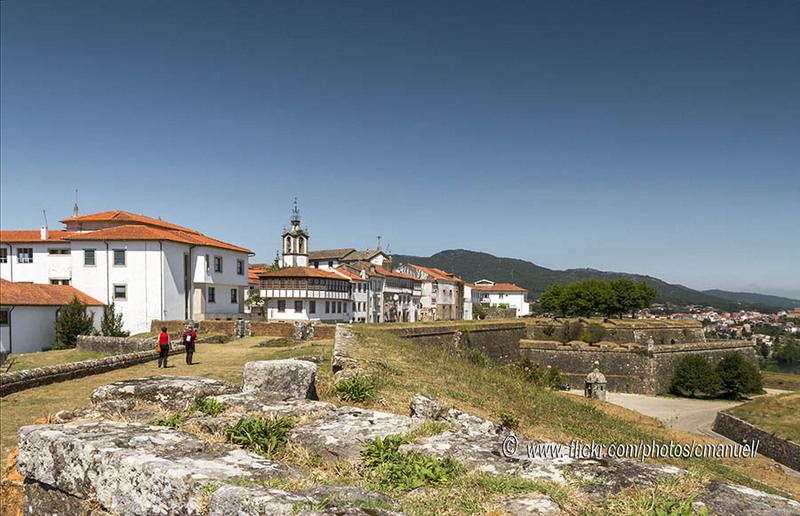 The new city, which grew at the base of the fortress, does not have much to attract a visitor interested in Portuguese culture, but the city core situated within the walled enclosure is fascinating. The North fortress contains an original watchtower from the era of Afonso III and houses some interesting places, such as the Casa da Eria, with a beautiful Manueline window; and the Church of Sat Estvevão (14th century), with a Neoclassical façade. Nearby is the 1st century Roman milestone from the ancient road that joined Braga and Astorga. 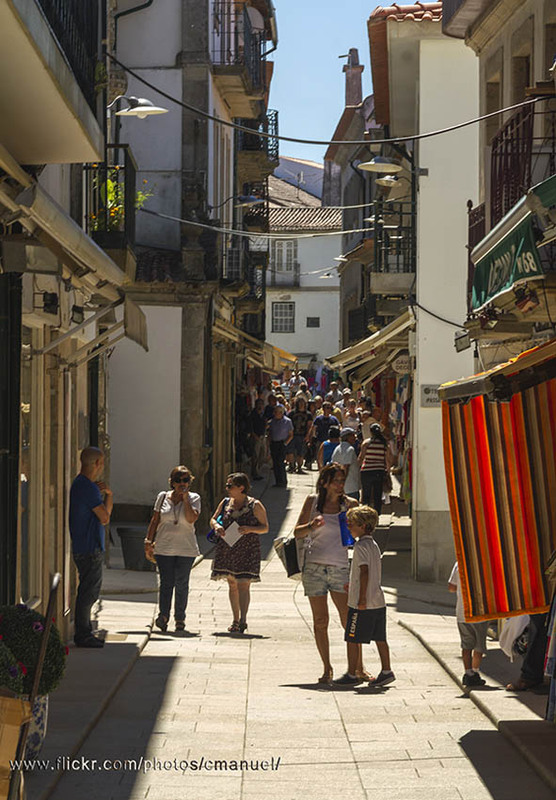 A little further North, at the end of the Rua José Rodrigues, stands the Romanesque parish known as the Igreja de Santa Maria dos Anjos Church, which dates from 1276, with a tiny chapel with Gothic-Roman inscriptions on the back. Just to the left is the Capela da Misericórdia Chapel, and behind, the Pousada de São Teotónio. But the most entertaining of all is touring the group of exterior walls and going through the city's original gates, under which a stream flows. An interesting excursion that leaves from Valença is that which heads for Monte do Faro, a mountain whose peak is 565 meters above sea level, offering some fantastic views of Minho and Tui. It's also an excellent idea to visit the local neighborhood of Monção, located about 18 kilometers upriver, and the Brejoeira Palace, five kilometers further south.